About a decade ago, I was diagnosed with a rare form of skin cancer. It’s called dermatofibrosarcoma protuberans. Don’t worry if you can’t pronounce it either. It took me two days to learn how to pronounce it. To this day, I am still convinced I am mispronouncing it. Anyway, it is a tumor that grows in the middle layer of skin. It can resemble a pimple. I thought it was a pimple on my shoulder. In fact, I convinced myself it was a pimple. For over a year, I watched it grow and ignored it. Finally, I went to the hospital to get it biopsied. The next day, a doctor called me to say that it was benign. I had nothing to worry about. About 20 minutes later, the same doctor called again. It was a horrible mistake. There was a small, skin cancer tumor in my right shoulder. I needed to have it removed as soon as possible. That week, I became deeply depressed. Dealing with cancer is something that I usually hear about other people dealing with. One never believes that it will happen to them. They had to schedule two surgeries to cut the tumor out along with some of the surrounding healthy tissue. I was informed that my cancer had a 5% chance of malignancy. Anything over zero was too high for me. I was working in academia at the time and my health insurance covered everything, besides a minimal co-pay. I shudder to think about what I would have done if I didn’t have health insurance. Or, if I had to pay for radical surgery. What if I needed help so urgently that an air ambulance was required? Most people get their health insurance through work-based, employer-sponsored programs. Or, through government subsidized insurance. These programs offer limited benefits. They also don’t usually cover many family members. People who pay out of pocket have it even worse. Individuals can pay as much as $400-a-month in premiums. A family plan can be as high as $1,200. Meanwhile, deductibles can be as high as $9,000. What’s limiting about employer-sponsored or government subsidized health insurance is the network system. You can’t get treatment outside a predetermined network of doctors and providers without financial penalty. If you try to, you will end up paying heavily out of pocket. In a recent news story, a small boy swallowed many prescription pills. His parents opted for an air ambulance to get him to a specialist in a hospital far away. While the emergency room care was covered by the family’s insurance, the air ambulance was not. As a result, the family was slapped with a surprise air ambulance bill for almost $40,000. It took over year for the family to negotiate the price down to $1,000. 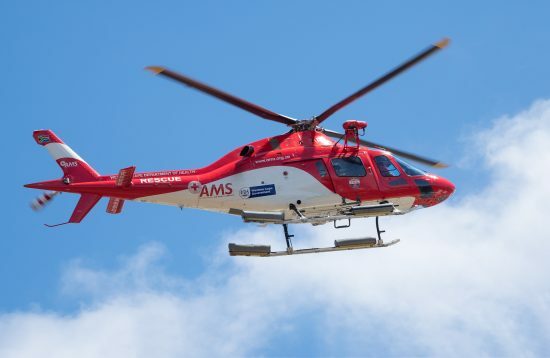 Air ambulances are mainly used in remote, rural, and hard to reach areas. People into extreme sports or exploring in remote areas may unexpectedly need them. Or, in extraordinary emergencies where a person may need the skills of a medical specialist in another city. You may need the use of one when you least expect it. Over 40% of Americans couldn’t pay an emergency bill of $400 if they were hit with one. So, paying a $40,000 emergency bill is out of the question. Over 550,000 American need use of an air ambulance every year. Most health and travel insurance plans do not cover them. If they do, it will be for a miniscule amount and include a hefty deductible. You could still end up paying tens of thousands out of pocket in copays, coinsurance, or deductibles. Try to keep an emergency medical fund if possible. Every little bit helps when preparing for an emergency. Or, be prepared to spend months or years trying to negotiate down an unexpected emergency bill.